All equipment will be controlled from one embedded electronics, the X010 system. The BM3010 Analogue or PC Test Line is a unique test line, which match or outperform most conventional test lines. The brake tester can test axles up to 3,500 kg, the suspension tester can test axles up to 2,000 kg, the tacho tester can test axles up to 3,000 kg and the side slip tester can test wheel weights up to 2,000 kg. The BM3010 test line can be installed both in-ground and on-ground. As in-ground model, the test line is particular suitable in premises with high water table. All equipment is supplied with hot galvanised subframes, which are concreted into the floor prior to installation the equipment. The subframes ensure an easy planning and implementation of installation. Since all equipment can be supplied with a height of only 16 cm, the test line can be placed on-ground with only 1.85 m drive on and off ramps. The test line is as standard supplied with a display with two large analogue readings of brake force left and right and 50 mm high bright digital readout of brake force imbalance. When configured with suspension tester and side slip, then these gauges and the digital imbalance window is used to display the test result from this equipment. Optionally the BM3010 test line can be supplied with special Windows based BM display, which additional has 50 mm high bright digital readout of ovality, pedal force, weight, efficiency, suspension values, speed and distance values. The display for a BM3010 test line is usually purchased with a mobile trolley, which allows for the display to be wheeled to a convenient position. However, the display can also be mounted either on the wall saving floor space or on floor column devices. The test line can be supplied in a minimum configuration and still allows for later upgrade to all options. This means that in case the customer later wants to upgrade to a higher specification due to new legislation or other, then the customer will not experience, that he has to purchase another test line. 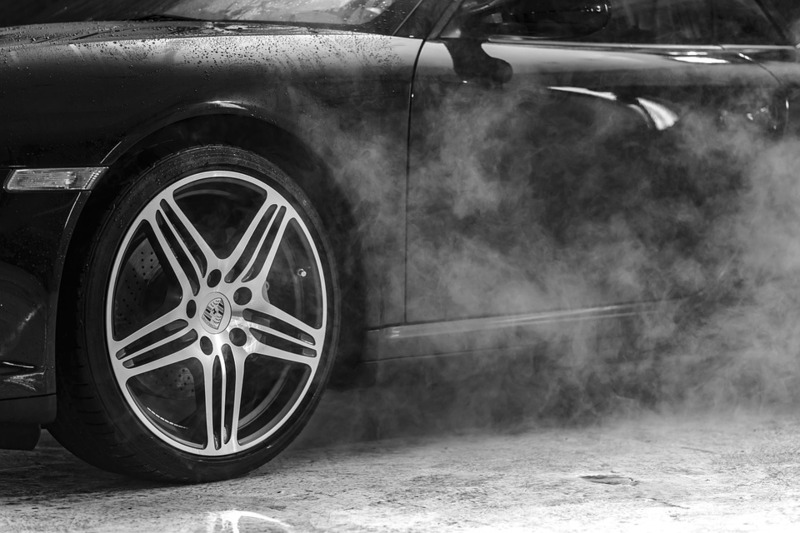 As standard the test line software allows for advanced graphical printout enabling the customer to perform both pre-inspection and diagnosing before repair brake tests. This advanced printout of test results can be done without having to connect a PC to the brake tester. The BM3010 test line can be configured to run BM Windows Software programs installed on a PC. This PC can replace the analogue display or it can be an “add-on” installed in the workshop office. The Windows program allows for advanced storing and presentation of test results using SQL database technology. The test line can be configured into a complete vehicle inspection line by adding the BM FlexCheck vehicle inspection IT system. The BM3010 test line is designed for private workshops and vehicle inspection bodies. The primary application of the BM3010 test line is on-ground installation using only 1.85 m drive on/off ramps. The BM3010 test line can be placed in front of a 4-post lift. 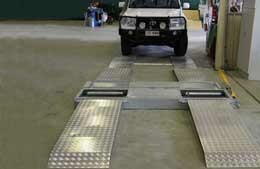 As the height of the test line matches the height of most 4-post lift, the test line requires only 2 drive-on ramps, which then also perform as drive on ramps to the 4-post lift. The test line can be installed in-ground in premises with high water table and is then supplied with hot galvanised subframes for all equipment.